In the U.S. and around the globe, chemicals management and product regulations impact businesses in the plastics industry as it strives to meet the needs of consumers by manufacturing the safest, strongest and most technologically advanced products and materials in the world. The Plastics Industry Association (PLASTICS) encourages every manufacturer, no matter what their product, to maintain the highest possible standards of product stewardship. This includes identifying and managing, from design to end of life, the health, safety and environmental aspects of a product. 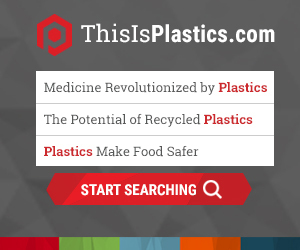 What role does the Plastics Industry Association (PLASTICS) have in addressing product regulatory issues? PLASTICS has a Product Regulatory Task Group of the EHS+ Committee, a group in which all members are invited to participate. Meetings are held three times a year with interim conference calls as needed. Domestic and international chemicals restrictions activities on plastics. PLASTICS monitors and responds to U.S. initiatives, and where warranted as chemicals management frameworks are developed and evolve in the European Union and elsewhere. PLASTICS engages with the Environmental Protection Agency (EPA) and other agencies, and participates in the rulemaking process to meet the needs of our members. Plastics businesses around the world are also impacted by countries’ adoption of the Globally Harmonized System of Classification and Labelling of Chemicals (GHS) and its revisions; e.g., understanding related changes to product labels and Safety Data Sheets (SDSs). From members-only communications to webinars open to the industry, PLASTICS provides resources to assist with understanding regulations and facilitates the sharing of company programs and practices with the invaluable experience and expertise of workers in the industry. Currently, PLASTICS is developing a program to assist new and career-transitioning product stewardship professionals with better understanding the plastics industry and relevant EHS and product regulations.